The Tank, Infantry, Mk IV (A22) Churchill was a British heavy infantry tank used in the Second World War, best known for its heavy armour, large longitudinal chassis with all-around tracks with multiple bogies, its ability to climb steep slopes, and its use as the basis of many specialist vehicles. It was one of the heaviest Allied tanks of the war. 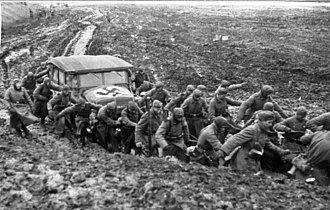 The origins of the design lay in the expectation that war in Europe might be fought under similar conditions to those of the First World War, and emphasised the ability to cross difficult ground. The Churchill was rushed into production to build up British defences against a possible German invasion. The first vehicles had flaws that had to be overcome before the Churchill was accepted for wide use. After several marks had been built, a better armoured version, the Mark VII, entered service. 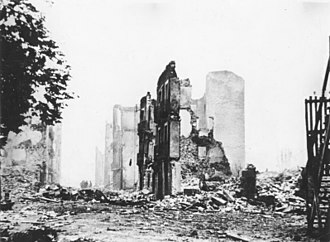 The improved versions performed well in the later stages of the war. The Churchill was used by British and Commonwealth forces in the North Africa campaign, in Italy, and in northwest Europe. 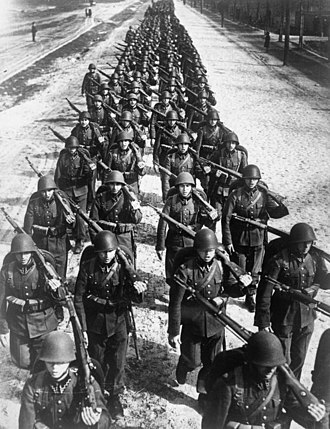 In addition, a few hundred were supplied to the USSR and used on the Eastern Front. The Churchill tank was named after Prime Minister Winston Churchill, who had promoted the development of the tank in the First World War. Churchill told Field Marshall Jan Smuts "That is the tank they named after me when they found out it was no damn good!" The name only incidentally matched what became the British Army practice of giving service names beginning with C to cruiser tanks, such as the Covenanter, Crusader, and the later Cromwell, Cavalier and Comet. Infantry tank naming had no particular pattern. Post-war, the merging of the cruiser and infantry tank lines in the 'universal' or main battle tanks continued with C names: Centurion, Conqueror, Chieftain, and Challenger. Initially specified before the outbreak of the Second World War, the (General Staff designation) A20 was to be the replacement for the Matilda II and Valentine infantry tanks. In accordance with British infantry tank doctrine and based on the expected needs of World War I-style trench warfare, the tank was required to be capable of navigating shell-cratered ground, demolishing infantry obstacles such as barbed wire, and attacking fixed enemy defences; for these purposes, great speed and heavy armament were not required. The vehicle was specified initially to be armed with two QF 2 pounder guns, each located in a side sponson with a coaxial BESA machine gun. A third BESA and a smoke projector would be fitted in the front hull. The specification was revised to prefer a turret with 60 mm of armour to protect against ordinary shells from the German 37 mm gun. Outline drawings were produced based on the A12 Matilda turret and the engine of the Covenanter tank. Detail design and construction of the A20 was given to the Belfast shipbuilders Harland and Wolff, who completed four prototypes by June 1940. During the construction period, the armament was reconsidered, including fitting either a 6-pounder or a French 75 mm gun in the forward hull. In the end, a 3-inch howitzer was chosen. The A20 designs were short-lived, however, as at roughly the same time the emergency evacuation of the British Expeditionary Force from Dunkirk occurred. At 43 tons, with a 300 hp flat-12 Meadows engine, the A20 had limited power compared to the 18-ton Covenanter. This was a less serious limitation than it might appear, owing to the British distinction between the high-speed cruiser tanks and the slow-speed infantry tanks. Vauxhall were approached to see if they could build the A20 and one example was sent to Vauxhall at Luton to see if they could provide an alternative engine. To this end, they developed a flat-12 petrol engine. For speed of production, this engine was based on a Bedford six-cylinder lorry engine, giving rise to its name of "Twin-Six". Although still a sidevalve engine, the engine was developed with high squish pistons, dual ignition and sodium-cooled exhaust valves in Stellite seats to give 350 bhp. With France lost, the scenario of trench warfare in Northern Europe was no longer applicable and the design was revised by Henry Merritt,[note 2] Director of Tank Design at Woolwich Arsenal, based on the combat witnessed in Poland and France. These new specifications, for the A22 or Infantry Tank Mark IV, were given to Vauxhall in June 1940. 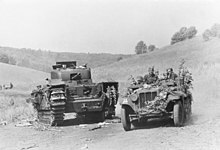 With a German invasion of Britain looking imminent, and the loss of a substantial amount of military vehicles in the evacuation from France, the War Office specified that the A22 had to enter production within a year. By July 1940, the design was complete and by December of that year the first prototypes were completed; in June 1941, almost exactly a year as specified, the first Churchill tanks began rolling off the production line. Fighting vehicles are urgently required, and instructions have been received to proceed with the vehicle as it is rather than hold up production. All those things which we know are not as they should be will be put right. The document then described known faults, with work-rounds and what was being done to correct the problem. Because of its hasty development, there had been little testing, and the Churchill was plagued with mechanical faults. Most apparent was that the Churchill's engine was underpowered, unreliable, and difficult to access for servicing. Another serious shortcoming was the tank's weak armament, the 2 pounder (40 mm) gun, which was improved by the addition of a 3-inch howitzer in the hull to deliver a HE shell, albeit not on a howitzer's usual high trajectory. 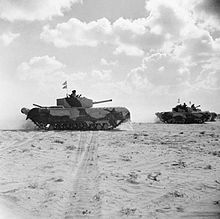 The poor speed of the Churchill nearly caused production to be ceased in favour of the forthcoming Cromwell tank; it was saved by the successful use of the Mk III at the Second Battle of El Alamein in October 1942. In the same year, the Churchill was also used at the Dieppe Raid. The second major improved Churchill, the Mk VII, was first used in the Battle of Normandy in 1944. The Mk VII improved on the already heavy armour of the Churchill with a wider chassis and the British 75 mm gun, which had been introduced on the Mk VI. It was primarily this variant, the A22F, which served through the remainder of war. It was re-designated A42 in 1945. The Churchill was a versatile project and was used in numerous specialist roles. The hull was made up of simple flat plates, which were bolted together in earlier models and were welded in later models. The hull was split into four compartments: the driver's position at the front, then the fighting compartment including the turret, the engine compartment, and the gearbox compartment. The suspension was fitted under the two large "panniers" on either side of the hull, the track running over the top. There were eleven bogies either side, each carrying two 10-inch wheels. Only nine of the bogies normally took the vehicle weight, the front coming into play when the vehicle nosed into the ground or against an obstacle, the rear acting in part as a track tensioner. Due to the number of wheels, the tank could survive losing several without much in the way of adverse effects as well as traversing steeper terrain obstacles. As the tracks ran around the panniers, escape hatches in the side could be incorporated into the design. These were retained throughout the revisions of the Churchill and were of particular use when the Churchill was adopted as the AVRE. The Bedford Vehicles engine was effectively two engines in horizontally opposed configuration ("flat twelve") on a common crankshaft. 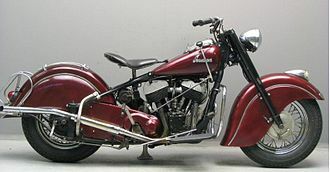 There were four Solex carburettors each on a separate manifold that fed three cylinders formed as a single cylinder head. The elements of the engine and ancillary components were laid out so they could be reached for maintenance through the engine deck covers. Air for the engine was drawn from the fighting compartment through air cleaners. Cooling air was drawn into the engine compartment through louvres on the sides, across the radiators and through the engine compartment by a fan driven by the clutch. This fan blew the air over the gearbox and out the rear of the hull. By opening a flap between the fighting compartment and the engine compartment, this airflow could be used to remove fumes produced by firing the armament. The 1,296 cu in (21.238 L) capacity engine was rated at 350 bhp at 2,000 rpm, delivering 960 lb⋅ft (1,300 N⋅m) torque over an engine speed range from 800 to 1,600 rpm. The gearbox featured a regenerative steering system that was controlled by a tiller bar instead of the more commonplace brake levers or, as with the German Tiger I heavy tank, a steering wheel. The tiller was connected, with servo assistance, hydraulically to the steering brakes. 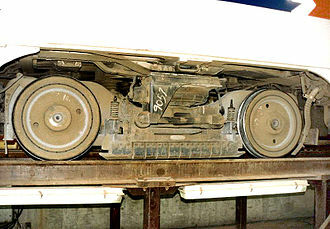 The Churchill was also the first tank to utilise the Merritt-Brown triple differential gearbox, which allowed the tank to be steered by changing the relative speeds of the two tracks; this effect became more pronounced with each lower gear, ultimately allowing the tank to perform a "neutral turn" when no gear was engaged, where it could fully pivot within its own length. There were final reduction gears, of the planetary type, in the driving wheels. The first turrets were of cast construction and were rounded in shape, providing sufficient space to accommodate the relatively small 2 pounder gun. To fulfil its role as an infantry support vehicle, the first models were equipped with a 3-inch howitzer in the hull in a layout very similar to the French Char B1. This enabled the tank to deliver a useful high-explosive capability while retaining the anti-tank capabilities of the 2 pounder. However, like other multi-gun tanks, it was limited by a poor fire arc - the entire tank had to be turned to change the aim of the hull gun. The Mk II dispensed with the howitzer and replaced it with a bow machine gun and on the Mk III, the 2 pounder was replaced with the 6 pounder, significantly increasing the tank's anti-tank capabilities. 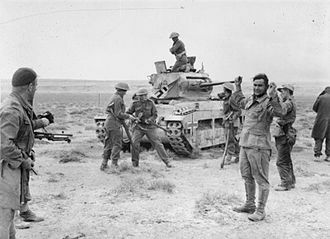 The tank underwent field modification in North Africa with several Churchills being fitted with the 75 mm gun of destroyed M4 Shermans. These "NA75" variants were used in Italy. The use of the 75 mm increased the effectiveness of the tank, as it was a generally superior weapon to the 6 pounder, possessing similar anti-tank capabilities, while also being considerably more effective when used in infantry support roles. Churchills made use of the Vickers Tank Periscope MK.IV. In the Mark VII, the driver had two periscopes as well as a vision port in the hull front that could be opened. The hull gunner had a single periscope as well as the sighting telescope on the BESA machine gun mounting. In the turret, the gunner and loader each had single periscope and the commander had two fitted in his hatch cupola. The armour on the Churchill, often considered its most important feature, was originally specified to a minimum of 16 millimetres (0.63 in) and a maximum of 102 millimetres (4.0 in); this was increased with the Mk VII to a range from 25 millimetres (0.98 in) to 152 millimetres (6.0 in). 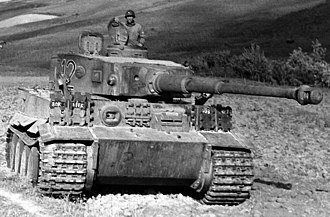 Though this armour was considerably thicker than its rivals (including the German Tiger I tank, but not the Tiger II) it was not sloped, reducing its effectiveness. Earlier models were given extra armour by the expedient of welding on extra plates. On the Mark VII, the hull front armour was made up of a lower angled piece of 5.5 in (140 mm), a nearly horizontal 2.25 in (57 mm) plate and a vertical 6 inch plate. The hull sides, were, for the most part, 3.75 in (95 mm). The rear was 2 in (51 mm) and the hull top 0.525 in (13.3 mm). The turret of the Mark VII was 6 in (150 mm) to the front and 3.75 in (95 mm) for the other sides. The turret roof was 0.79 (20 mm) thick. Plate was specified as IT 80, the cast sections as IT 90. The A22F, also known as "Heavy Churchill", was a major revision of the design. The most significant part was the use of welding instead of riveted construction. 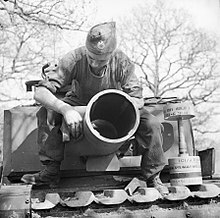 Welding had been considered earlier for the Churchill but, until its future was assured, this was no more than testing techniques and hulls at the firing ranges. What welding reduced in the overall weight (estimates were around 4%), the thicker armour of the A22F made up for. Welding also required fewer man-hours in construction. The hull doors changed from square to round which reduced stresses. A new turret went with the new hull. The sides, which included a flared base to protect the turret ring, were a single casting while the roof, which did not need to be so thick, was a plate fitted to the top. Since the engines on the Churchill were never upgraded, the tank became increasingly slow as additional armour and armament was equipped and weight increased; while the Mk I weighed 39,120 kg (40 long tons) and the Mk III weighed 39,630 kg, the Mk VII weighed 40,640 kg. This caused a reduction in the tanks' maximum speed from its original 26 km/h (16 mph) down to 20.5 km/h (12.7 mph). Another problem was the tank's relatively small turret that prevented the use of powerful weapons; definitive versions of the tank were armed with either the QF 6-pounder or the derivative QF 75 mm gun. The 6-pdr was effective against armoured vehicles, but less so against other targets; the 75 mm was a better all-round weapon, but lacked in effectiveness against armour. Although the Churchills with their 6 pounders could outgun many contemporary German medium tanks (like the Panzer IV with the short-barrel 75 mm gun, and the Panzer III armed with the 50 mm gun) and the thick armour of all Churchill models could usually withstand several hits from any German anti-tank gun, in the later years of the war the German Panther tank had a 75 mm high-velocity cannon as its main armament along with increased protection, against which the Churchills' own guns often lacked sufficient armour penetration to fight back effectively. The Churchill had many variations, including many specialised modifications. The most significant change to the Churchill was that it was up-gunned from 2 pounder to 6 pounder and then 75 mm guns over the course of the war. By the war's end, the late model Churchill Mk VII had exceptional amounts of armour – considerably more than the German Tiger tank. However, the firepower weakness was never fully addressed. The Mark VII turret that was designed for the 75 mm gun was of composite construction – cast with top and bottom plates welded into position. While it had weaknesses, the Churchill could cross terrain obstacles that most other tanks of its era could not. This capacity frequently proved useful, especially during the fighting in Normandy. One action in Normandy where the tank's ability to surmount obstacles was found to be of value was the capture of Hill 309 on 30/31 July 1944 (Operation Bluecoat) conducted by VIII Corps. The Churchill tank was produced with Vauxhall as the design parent. Subcontracted work on some tanks was provided by Whessoe Foundry & Engineering, Metropolitan‑Cammell Carriage and Wagon, Babcock & Wilcox Ltd., Newton, Chambers & Co. and the Gloucester Railway Carriage & Wagon Company produced some complete vehicles. 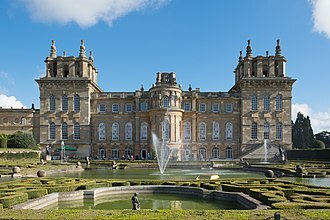 Other contractors produced hulls and turrets which went to Vauxhall, Charles Roberts & Co., and Dennis Brothers for final assembly. The Churchill first saw combat on 19 August 1942, in the Dieppe Raid in France. 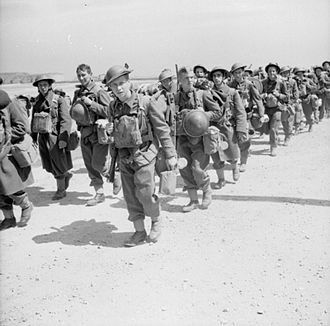 The Dieppe raid was planned to temporarily take control of the French port of Dieppe using a strong force of about 6,000 troops – mostly drawn from inexperienced Canadian units. The operation, codenamed Rutter, would test the feasibility of opposed landings. Nearly 60 Churchill tanks from the Calgary Regiment were allocated to support the infantry and commandos; they would be put ashore by landing craft. Some problems were anticipated and allowed for: waterproofing of the hulls, canvas carpets to aid the tanks crossing the shingle beach, engineer teams to demolish obstacles and a few of the tanks were fitted with flame-throwers. In the event, the German defences were strong and several tanks in each of the four "waves" were lost on or before reaching the beach. Only 14 got off the shore and past the sea wall. Although the tanks were effective in engaging the defenders in the town's buildings, their progress was blocked by concrete defences; the demolition teams – killed or pinned on the beach – had not been able to accompany the tanks. Some tanks were able to return to the beach once a withdrawal had been signalled but none was taken off. The surviving tank crews fought to cover the withdrawal of the infantry from the beach, and were captured after they had exhausted their main gun ammunition. Nearly 70% of the Canadians were killed, injured or captured and none of the raid's objectives were met other than the secret raid on the radar station on a headland. Six Mk III Churchills (with the 6 pounder) saw action in the Second Battle of El Alamein in October 1942. 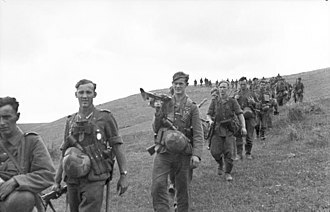 This detachment, called "Kingforce", supported the attack of 7th Motor Brigade. The Churchills were fired on many times by Italian and German anti-tank guns, but only one was knocked out and partially caught on fire. One tank was said to have been hit up to 80 times. Churchill tanks took part in containing the German offensive of Operation Ochsenkopf in February – March 1943. At a place called Steamroller Farm, two Churchill Mk III tanks of 51 RTR got ahead of their squadron. 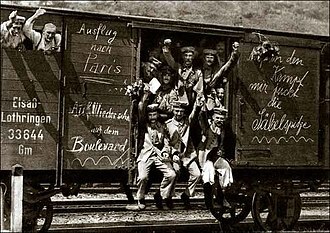 They came across an entire German transport column, which they ambushed and completely shot up before they rejoined. The end result was the destruction of two 88 mm, two 75 mm and two 50 mm, four lesser anti-tank guns, 25 wheeled vehicles, two 3-inch mortars, two Panzer III tanks and infliction of nearly 200 casualties. A Churchill tank in a hull down defensive position made a particular contribution to Allied success. In one encounter, on 21 April 1943, during the start of the Battle of Longstop Hill, a Churchill tank of the 48th Royal Tank Regiment got the better of a German Tiger I heavy tank. A 6 pounder shot from the Churchill lodged between the Tiger's turret and turret ring, jamming the turret and injuring the German crew. 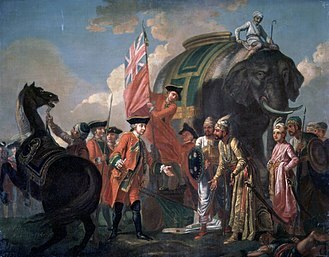 They abandoned the Tiger, which was subsequently captured by the British. Known as Tiger 131, this Tiger was the first captured by the Western Allies and was particularly useful for intelligence. Tiger 131 has since been restored to full working condition and is now on display at the Tank Museum in the United Kingdom. North Irish Horse Churchill advancing towards Florence, Italy. 23 July 1944. As the mainstay of the Tank Brigades, which operated in support of the infantry, Churchill units were in operation more often than other tank units. The "NA75" conversions of Churchill Mark IIIs to carry the US 75 mm gun were used in Italy. As the Churchill proved to be a better gun platform than the Sherman, the effective range of the 75 mm was increased. 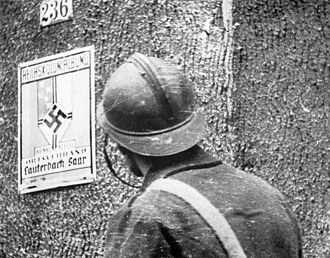 Churchills saw widespread action in Normandy during the Battle of Hill 112 and Operation Bluecoat, as well as subsequent operations in the Low Countries and into Germany, such as the fighting in the Reichswald during Operation Veritable. The Churchill was able to cross the muddy ground and force through the forests of the Reichswald; a contemporary report expressed the belief that no other tank could have managed the same conditions. A single Churchill, possibly a Mk V, was trialled in Burma in 1945. It was operated by the 3rd Dragoon Guards (Carabiniers) from the end of April 1945 for about a month. Although it proved impossible to bring the Churchill into action, on approach marches the tank proved at least the equal to the M3 Lee then in service. The 254th Indian Tank Brigade returned to India from Burma, arriving at Ahmednagar during July 1945. The Brigade immediately began conversion from the Lee to the Churchill, the intention being for the newly equipped Brigade to return to operations in October 1945. 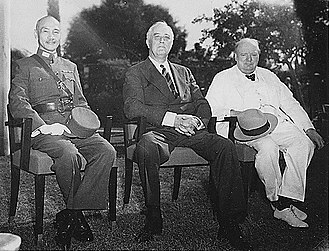 At the time, it was assumed that the war against Japan would continue and that the new battleground would be Malaya. Although a small number of tanks were delivered, and some training undertaken, the end of the war against Japan meant that the conversion was not completed. At the end of September, the 254th Indian Tank Brigade was re-assigned and posted away from Ahmednagar. All the Churchills delivered up to that point were returned to the Ordnance Depot at Kirkee (Khadki) by the end of November-early December 1945. Of the three regiments (battalions) involved, the 3rd Dragoon Guards accompanied the 254th Brigade when posted away while the 149th Regiment Royal Armoured Corps and the 150th Regiment Royal Armoured Corps were eventually disbanded at Ahmednagar on 28 February 1946, the majority of personnel already having been repatriated to the United Kingdom or posted to other units. In mid-1944, at the request of Britain's War Office, the Churchill was tested by the Australian Army, along with the M4 Sherman. The results were to be used to determine any modifications required for use in the tropics; Matildas were used as a reference point in the tests at Madang, New Guinea. The Churchill was found to be, overall, superior to the other tanks for jungle warfare. It was not used in the Pacific War; only 46 of the 510 Churchills ordered by Australia were delivered by the end of the war, and the remainder of the order was cancelled. In late 1950, a Churchill Crocodile squadron (C squadron, 7 Royal Tank Regiment) was sent to Korea. In action against the Chinese, they mostly fought as gun tanks, for example in the Third Battle of Seoul. 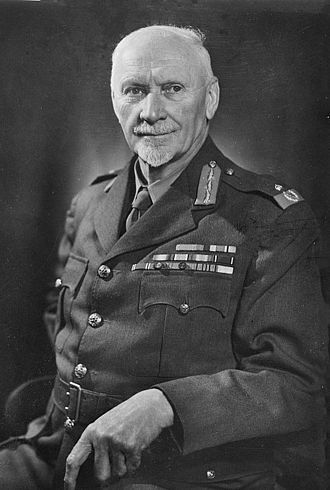 To restore 1st Battalion, Royal Northumberland Fusiliers' position during the defence of Seoul, Brigadier Thomas Brodie of the 29th Infantry Brigade sent four Churchill tanks as reinforcement; their contributions to the battle were widely praised by British and American historians. These were the last use of the Churchill in action by the British. The tank remained in the service of the British Army until 1952 with one, a bridge-layer, remaining in service well into the 1970s. The Soviet Union was sent 344 Churchill Mk III and Mk IV types as part of the Lend-Lease programme. 91 were lost en route on the Arctic Convoys. In 1942-1943, it used Churchills in the Battle of Stalingrad (47th and 48th regiments of heavy tanks - 42 Churchills). 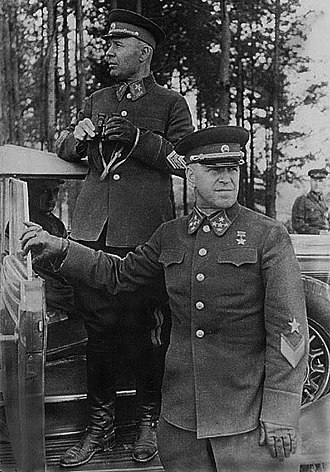 In 1943, the Soviet 5th Guards Tank Army used Churchills in the Battle of Prokhorovka (15th and 36th regiments of heavy tanks - 42 Churchills) during the Battle of Kursk, and in the Fourth Battle of Kharkov. It was also used in other battles until 1944 (82th regiment of heavy tanks). The Irish Army took delivery of three Churchill Mk VI tanks in 1948 and a fourth in 1949. These were rented from the British War Office as trials vehicles until 1954, when they were purchased outright. This purchase was despite the fact that the supply and transport corps workshops, which maintained them, had reported that spares had all but run out. 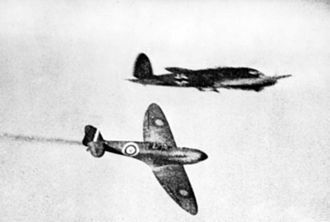 Experiments were carried out involving replacing the existing Bedford engine with a Rolls-Royce Merlin engine salvaged from an Irish Air Corps Seafire aircraft. 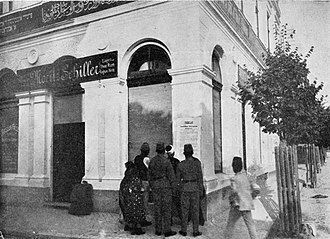 The experiment was not a success, although the reasons are not recorded. By 1967, only one Churchill remained serviceable, and by 1969 all were retired. One remains preserved in the Curragh Camp. During the course of the war, as well as new production, older vehicles were reworked to bring them up to later standard. For example, 2-pdr turrets were replaced with the 6-pdr turret, and the improved commander's cupola (with eight periscopes) introduced after the first Mark VII was applied to some earlier marks as well. Nearly 3,100 Churchills of all marks were rebuilt. Early tanks were produced before the Churchill name was attached and were retroactively known as Churchill Mark I etc. Equipped with a 40mm 2 pounder gun in the turret with 150 rounds, and a coaxial Besa machine gun. There was a 3 inch howitzer in the hull, with 58 rounds, for use against infantry. It was a tank that was noted for poor mechanical reliability. It was the main tank issued to the Canadian forces at Dieppe. 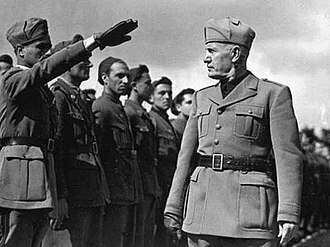 It was used in Tunisia and some were still in use late in the war in Italy on the Gothic Line. Replaced the hull howitzer with another machine gun to reduce cost and complexity. Sometimes referred to as "Churchill Ia". Placed the 2 pounder gun in the hull and the howitzer in the turret, available in very limited numbers. Sometimes called the "Churchill II". Not used in combat. The III was the first major armament overhaul of the series, eliminating the hull howitzer and equipping the tank with a more powerful 6 pounder gun with 84 rounds. It had a new "cleaner" squarish turret, which, unlike earlier versions, was welded. The first Mark to have "catwalks" over the upper track runs to protect the tracks. Churchill IIIs later upgunned with the QF 75mm gun are known as the Churchill III*. The IV was the most numerous Churchill produced, and was virtually identical to the III, the largest change being a return to the less costly cast turret; however, the turret's "clean" squarish shape remained. In earlier models, turrets using the 6 pounder Mark V were fitted with a counterweight. Some were refitted with American 75mm guns from Sherman tanks while others were up-gunned with British 75mm guns, creating the Mark IV (75). The QF 75mm and the 6 pounder can be differentiated by the presence of a muzzle brake - the 6 pounder did not use a muzzle brake, while the QF 75mm did. A Churchill equipped with a close support 95mm howitzer with 47 rounds in place of the main gun in a cast turret. The turret was similar, but not identical, to the Marks IV/VI turrets, with a slightly different opening for the gun in the turret front face. Along with several minor improvements, such as an additional collar at the turret base protecting the turret race, it was produced as standard with the 75mm Mark V gun. Few were built due to the impending release of the VII and concurrent upgunning of the Marks III/IV. The second major redesign from previous models, the VII used the 75mm gun, was wider, and carried much more armour, 50% thicker at the front than a Tiger I, giving it the ability to withstand massive amounts of punishment. It is sometimes called the Heavy Churchill and was re-designated as the "A42" in 1945. This version of the Churchill first saw service in the Battle of Normandy, and in total served with three Royal Armoured Corps regiments in western Europe, one in Italy and with 7th Royal Tank Regiment in Korea. The Mark VII was designed to be able to be converted into the Crocodile flame-throwing variant without major modification. A Churchill VII that replaced the main gun with a 95mm howitzer with 47 rounds in a slightly different turret. Churchill III / IV upgraded with extra armour added to hull and turret, along with gearbox and suspension modifications. If the original turret was retained without added armour it was designated LT ("Light Turret"). The same improvements as for the IX applied to a Mk VI. The same improvements as for the IX applied to a MkV CS. Churchill IVs with 6 pounder guns replaced (under Operation Whitehot) by 75 mm guns and mantlets from destroyed or scrapped Sherman tanks, fitted to Churchill IV cast turrets. Their performance was virtually identical to the VI. They were known as NA 75 from 'North Africa' where the first conversions took place, after 48 Shermans with otherwise new guns had been disabled by mines. Some Mark IIIs were also modified, using Mark IV turrets. To fit the Sherman mantlet required cutting away the front of the Churchill turret before it was welded in place, then the mantlet slot had to be cut away to give sufficient elevation. The Sherman 75 mm gun was designed for a left hand loader and the Churchill, in common with British practice, had a right hand loader. The gun was therefore turned upside down and the firing controls adapted. The conversion of about 200 tanks was carried out between March to June 1944 and the conversion project earned the officer in charge, Capt. Percy Morrell, an MBE as well as a promotion. A Churchill II or III with a flamethrower. The Oke flamethrowing tank was named after its designer, Major J.M. Oke. The design was basically a Churchill tank fitted with the Ronson flamethrower equipment. A tank containing the flame fuel was fitted at the rear, with a pipe from it leading to the fixed angle mounting on the front hull to the left, leaving the hull machine gun unobstructed. There were three (named "Boar", "Beetle" and "Bull") present, in the first wave, at Dieppe; these were quickly lost, and abandoned. Proposed by a Canadian engineer as a result of experience from the Dieppe Raid, the Assault Vehicle Royal Engineers was a Churchill Mark III or IV equipped with the "Mortar, Recoiling Spigot, Mark II" (or Petard), a 290 mm (11 in) spigot mortar that throws the 40 lb (18 kg) Bomb Demolition Number 1 ("Flying dustbin") with a 28-pound high-explosive warhead. The Petard, developed by MD1, was designed for the quick levelling of fortifications. The Petard was reloaded by traversing the turret to point front, slightly to the left, with the barrel directly over the co-driver's sliding hatch. The regular two piece co-driver's hatch was plated over, and a small sliding hatch was installed to allow access to the Petard. The Petard barrel would then be 'broken' vertically, and the co-driver would slide open his hatch. The co-driver would then push the projectile into the barrel. The barrel would then be closed, the Petard traversed back down, and the turret rotated back to its original position. The co-driver's hands were briefly exposed during the process. The AVRE could also be equipped with numerous other attachments, such as the Small Box Girder bridge, which was carried at the front of the tank and laid across ditches or narrow rivers up to 30 feet wide, and the Canadian Indestructible Roller Device (CIRD), which was used to protect the tracks of a tank from mines. It could also carry fascines, which are large bundles of wood carried on the front of the tank and dropped into trenches to help the Churchill cross over them, devices to place explosive charges against obstacles, and 'Bobbin's, which are massive rolls of canvas in drums, that were unrolled in front of the Churchill to help it over soft terrain. They were used during the invasion of Normandy to help the Churchill over soft sand, and also served to leave a trackway for following vehicles. By the time of the invasion of France in June 1944, 180 AVREs had been converted. They were first deployed in Normandy by the 79th Armoured Division on D-Day. 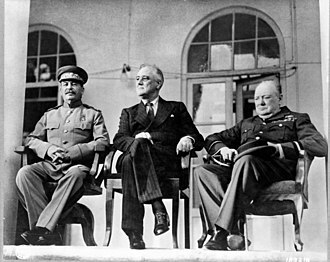 They were extremely successful and served until the end of the war. A further 574 followed. While the driver came from the Royal Armoured Corps, the five other crew were drawn from the Royal Engineers. One of the RE crew was a demolitions NCO sapper responsible for priming the "Flying dustbin" and who led the crew when they dismounted from the tank to place demolition charges ("Wade" charges). Other versions that did not see active service were equipped with anti-mine ploughs, mine rollers, or special demolition charges to destroy reinforced concrete walls. Post-war, new Churchill AVREs were developed on the basis of a modified Churchill Mk VII armed with a breech-loading low velocity 165mm demolition gun that fired a HESH round with about 40 lb (18 kg) of C4 explosive. The nomenclature of the AVRE was later changed to Armoured Vehicle Royal Engineers. Mk II – A Churchill Mark III or Mark IV with a fixed turret/superstructure with a dummy gun. It was equipped for recovering other tanks from the battlefield. It mounted a front jib with a 7.5 ton capacity, a rear jib rated for 15 ton and a winch that could pull 25 tons. With just a three-man crew, there was enough room to carry the crew of the tank being recovered. Armament was a single Besa machine gun. The Armoured Ramp Carrier was a turretless Churchill with ramps at either end and trackways along the body to form a mobile bridge. Fifty of these were built on Mark II and Mark IV Churchills. The Link Ark or Twin Ark was two ARKs used side-by-side to give a wide crossing. The ramps on these were folding types giving a longer, 65 ft (20 m), crossing. The Twin-ARK was used for the post-war Conqueror heavy tank. Ark Mk II had a wider, 4 ft (1.2 m) instead of the usual 2 ft (0.61 m), trackway on the left side so narrower vehicles could also use the ARK. These were conversions of the Ark Mark I in mid-1944. The "Italian Pattern" Ark Mk II ( initially called "Octopus") was produced in Italy using US ramps on Churchill Mk III chassis and did not have trackways on the tank itself (vehicles drove on the tank's tracks). "Lakeman Ark" was an experimental design for attacking very high obstacles. It was a turreted Churchill with the trackways built above the height of the turret, and long ramps at the rear. The British already had experience of bridge-laying tanks with the Valentine and Covenanter and began work on a Churchill-based bridge-layer in 1942. The bridge ("Tank, 30ft, No.2 "), which could support a weight of 60 tons, was carried on top of the tank. When the obstacle was reached, an arm (driven by hydraulics in the tank) pivoted at the front of the tank and placed the bridge in position. Other bridges could be deployed by the Churchill. "Skid Bailey" was a bridge formed from Bailey Bridge parts on skids that was moved into position by two Churchill AVREs – one pulling and one pushing. "Mobile Bailey Bridge" was a complete bridge on unpowered track units; it was pushed into position by two AVREs. Similarly, a bridge could be rested on an AVRE with its turret removed while a second AVRE pushed. The Churchill Crocodile was a Churchill VII that was converted by replacing the hull machine gun with a flamethrower. The fuel was in an armoured wheeled trailer towed behind. It could fire several one second bursts over 150 yards. The Crocodile was one of "Hobart's Funnies" – another vehicle used by the 79th Armoured Division. A working example can still be seen at the Cobbaton Combat Collection in North Devon. Coming out of a General Staff request in 1941 to investigate fitting high velocity guns on tanks. Neither the Churchill nor Valentine could mount a turret with a high velocity gun larger than the 6 pounder, but it was proposed that a fixed superstructure could carry a larger gun with limited traverse. Vauxhall was provided with 100 guns and given the task of producing the vehicle. The pilot vehicles were ready for testing in early 1942 and found to be satisfactory, but progress with the 17 pounder Challenger cruiser tank and refocussing on a general purpose role (and 75mm gun) for the Churchill led to a reduced order. A fixed 88 mm (3.5 in) thick superstructure with the gun in a ball mount was installed on the chassis of a Churchill. The gun was an otherwise obsolete 3 inch 20 cwt anti-aircraft gun. Fifty were built in 1942, but none are known to have been used in combat as the 17 pounder anti-tank gun gave the British the necessary firepower. Some were adapted for experimentation and training with the "Snake" mine-clearing line charge device. A 1950s mine-clearing flail tank built on a Churchill chassis using a Rolls-Royce Meteor engine to drive the flails. A much larger longer and higher trackway ramp than the ARK for crossing 60 ft (18 m). The 25-foot-long front ramps were launched into position with rockets. Ten built and two delivered in 1945 but not used in action. The Churchill Kangaroo was a turretless Churchill hull converted to an armoured personnel carrier. In 1943, an attempt was made to produce a 17 pounder armed tank on the Churchill chassis. It was known that sufficient numbers of the 17 pounder Challenger cruiser were not going to be produced in time for the invasion of Europe, and work was only starting on the Centurion cruiser design. Due to the wider turret required, Vauxhall had to redesign the hull though it used as much of the Churchill Mark VII as possible. This resulted in the Tank, Infantry, Black Prince (A43). Six prototypes were built and delivered in May 1945 just as the war in Europe was ending. The test programme was completed but the project was cancelled due to the success of the new and less complicated Centurion Mark I, which offered the same armament and frontal armour, was faster and more manoeuvrable, and had just entered production. A number of Churchills still exist as gate guardians or war memorials, while many examples reside in museums. Jacques Littlefield's Military Vehicle Technology Foundation in California, United States, acquired a Flail FV3902 "Toad" in its collection in 2008 after it was restored to full working order by RR Services in Kent, England; it was subsequently sold at auction and acquired by the Australian Armor and Artillery Museum. There are two Churchill Mark IVs at Normandy in France; one is residing at Lion-sur-Mer, while the other is located at Graye-sur-Mer. 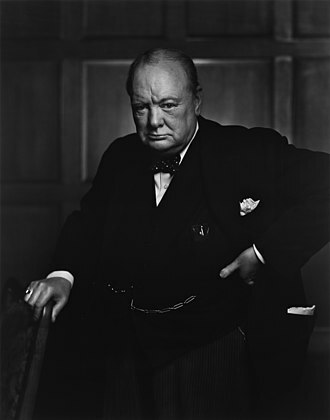 The Churchill Trust is a project that aims to restore existing Churchills to their original condition and working order. So far, a Mark III AVRE with appliqué armour, salvaged from a firing range, and a post-war Mark IV Twin-ARK have been restored to running conditions. The specialist equipment were removed and turrets were added, converting both tanks into their original variants. The project is currently in the process of restoring a Mark VII AVRE that was recovered from a range in northern England. The Cavalry Tank Museum, Ahmednagar. Maharashtra, India have one Churchill Mark VII, a Mark X (uparmoured Mk VI chassis; Mk VII turret; 75mm gun; Mk VII driver’s visor and MG mount), a Churchill bridgelayer and a Churchill ARV. Note that the Churchill Trust and the Tank Museum are not affiliated or associated with one another in any way; their tanks are different and owned separately, and the only common ground between both parties is that the Churchill Trust sometimes sends its tanks to participate in the Tank Museum's annual Tankfest event. Additionally, the Churchill Trust's tanks were all specialist vehicles, but were converted back into the standard turreted heavy tank variants during restoration. ^ "Britain's Struggle To Build Effective Tanks During The Second World War". Imperial War Museums. Retrieved 2019-03-04. ^ Churchill Tank (1983) page ix. ^ a b c Fletcher, David (1983) . Churchill Tank (Reprint of original WW2 operating manuals ed.). HMSO / The Tank Museum. pp. vii, 9(3), 29(19). ISBN 978-0-11-290404-5. ^ a b "Fabrication of the new Churchill Tank, MK VII"
^ Bird, Lorrin Rexford; Livingston, Robert D. (2001). WWII Ballistics: Armor and Gunnery. Overmatch Press. pp. 115, 120. ^ "ARMOUR WELDING ON THE CHURCHILL TANK MARK VII". Archived from the original on 26 July 2011. Retrieved 6 March 2010. 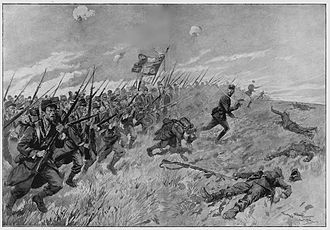 ^ "War Monthly" (34–45). War Monthly Publications. 1976. ^ a b Martin, Karl (2002). Irish Army vehicles: transport and armour since 1922. p. 58. ISBN 978-0-9543413-0-5. ^ a b c "Tank Infantry Mark IV A22F, Churchill VII (E1949.339)". tankmuseum.org. The Tank Museum. Retrieved 5 May 2016. ^ "Operation "Whitehot" – Creation of the Churchill Mark Na75". The North Irish Horse and Steeds of Steel. Archived from the original on 22 February 2011. ^ Fletcher, Universal Tank, pp. 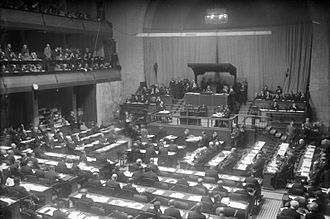 25–26. ^ a b c d e "Tank Infantry A22B Churchill Mark III AVRE (E1988.88)". tankmuseum.org. The Tank Museum. Retrieved 5 May 2016. ^ a b "Churchill AVRE - Spigot Mortar". armourinfocus.co.uk. Armour In Focus. Retrieved 8 May 2016. ^ "The Churchill Toad arrives – to say goodbyeThe Churchill Toad arrives – to say goodbye". Milweb. ^ Chris Shillito. "Churchill Great Eastern Ramp". Armourinfocus.co.uk. Retrieved 2010-03-06. ^ Rulers of Iraq and Saudi Arabia bury an old feud with big party in Baghdad. LIFE Magazine: May 27, 1957. ^ "The Churchill Trust at Bovington Tank Museum". Facebook. The Churchill Trust. 22 August 2013. Retrieved 5 May 2016. The Churchill Mark IV at Bovington Tankfest 2012. ^ "RM Sotheby's - FV3901 Churchill Toad Flail Tank | The Littlefield Collection 2014". RM Sotheby's. 2017-11-13. Retrieved 2019-02-01. ^ "FV3902 Churchill Toad". Tank Encyclopedia. 2017-01-15. Retrieved 2019-02-01. ^ "The Churchill Trust added 3 new photos". Facebook. The Churchill Trust. 27 July 2014. Retrieved 5 May 2016. ^ "The Churchill Trust added 3 new photos". Facebook. The Churchill Trust. 24 August 2014. Retrieved 5 May 2016. ^ "The Churchill Trust added 13 new photos". Facebook. The Churchill Trust. 30 January 2016. Retrieved 5 May 2016. ^ "The Churchill Trust added 3 new photos". Facebook. The Churchill Trust. 19 January 2016. Retrieved 5 May 2016. ^ "UNIQUE ID 1376: A22 CHURCHILL TANK". preservedtanks.com. preservedtanks.com. Retrieved 10 February 2019. ^ "UNIQUE ID 1954: A43 BLACK PRINCE TANK". preservedtanks.com. preservedtanks.com. Retrieved 10 February 2019. Chamberlain, Peter; Ellis, Chris (1969). British and American Tanks of World War II. Arco Publishing. Chamberlain, Peter; Ellis, Chris (1971). The Churchill Tank. Arms and Armour Press. Chant, Christopher (1997). An Illustrated Data Guide to Battle Tanks of World War II. London: Chelsea House Publications. ISBN 978-1-85501-856-3. Delaforce, Patrick (2006). Churchill's Secret Weapons: the story of Hobart's Funnies. Barnsley: Pen & Sword. ISBN 978-1-84415-464-7. Fletcher, David (1989). The Great Tank Scandal: British Armour in the Second World War - Part 1. HMSO. ISBN 978-0-11-290460-1. Fletcher, David (1989). Universal Tank: British Armour in the Second World War - Part 2. HMSO. ISBN 0-11-290534-X. Perrett, Bryan; Sarson, Peter; Chappell, Mike (1993). Churchill Infantry Tank 1941–1945. Osprey Publishing. ISBN 978-1-85532-297-4. White, B. T. (1983). No. 1 Churchill, B.I.T. Mk IV. AFV Profile. Profile Publishing. ISBN 978-0671060091. Wikimedia Commons has media related to Churchill tank. "Fabrication of the new Churchill Tank, MK VII". www.royaltankregiment.com. The Royal Tank Regiment Association. Archived from the original on 26 July 2011. Retrieved 6 March 2010. The Churchill Tank Project – aiming to restore a Mk III, Mk, IV, and Mk VII. Churchill Infantry Tank (A.22). wwiiequipment.com. The Ordnance QF 2-pounder, or simply 2 pounder gun, was a 40 mm British anti-tank and vehicle-mounted gun, employed in the Second World War. It was actively used in the Battle of France, and during the North Africa Campaign. As Axis tanks improved in armoured protection, it lost effectiveness and this QF 2-pounder was not the same gun as the QF2 pounder pom-pom gun extensively used by the Royal Navy as an anti-aircraft gun, they shared only the projectile weight of 2 pounds. The gun was developed as both a weapon and an anti-tank gun. For reasons of economy and standardization, it was accepted - as the 2-pdr Mark IX - for both purposes in October 1935, carriages for the gun were designed by Vickers and the Design Department at the Woolwich Arsenal. Vickers was the first to submit a design, which was accepted as the Ordnance QF 2-pounder Mark IX on Carriage Mark I, a limited number of pieces was built in 1936. The carriage had an innovative three-legged construction, in the travelling position, one of the legs was used as a towing trail, and the other two were folded. When the gun was positioned for combat, the legs were emplaced on the ground and it was conceptually similar, although when the gun was emplaced for combat the wheels had to be removed. This carriage was manufactured by Vickers, the unusual construction gave the gun good stability and a traverse of 360 degrees, allowing it to quickly engage moving vehicles from any approach. With the Vickers carriage, the gun could be fired from its wheels, at the expense of limited traverse. The 40 mm 2-pounder could outperform a typical 37 mm piece, such as the German 3.7 cm PaK36 or the Bofors 37 mm, a drawback of the 2-pounder was that it was nearly twice as heavy as the PaK36 and had a higher profile. The gun was first put into use on a tank as the armament of the Vickers-designed Cruiser Tank Mk I. A late-war project was the Canadian David High Velocity to allow 2-pdr ammunition to be fired from the larger-calibre 6-pdr and this was intended to improve the muzzle velocity of the shot. The system was still being developed when the war ended, the program ending along with it. As lighter tanks were introduced, the larger designs became known as heavies. A similar breakthrough role remained into World War II, as tank-v-tank combat became more common, heavy tanks mounted very powerful anti-tank guns. By the end of the war they were used both for dealing with heavy fortifications as well as antitank work and they were known as breakthrough tanks, indicating their purpose of spearheading the attack. They were usually organised into specialised heavy tank units, the emergence of the main battle tank spelled the end of the heavy tank as a separate class, although a number of post-war examples were produced. These were generally gone by the 1960s, heavy tanks achieved their greatest successes both fighting other, lighter tanks, and destroying fortifications with their very large guns. But the greatest drawback is cost which translates into production quantities and/or design and this case repeated itself in the operational use of the Tiger II of which only 492 were produced. Heavy tanks feature very heavy armour and weapons relative to lighter tanks, many heavy tanks shared components from lighter tanks. For example, the US M103 shared many components with the lighter Patton tanks including its transmission, as a result, they tend to be either underpowered and comparatively slow, or have engine and drive train reliability problems. In case of a new design development, which was the case with the German Tiger I. The heavy tank concept originated in World War I and co-existed with light, the first British tank, the Mark I of World War I, was introduced to break through German defensive lines of trenches and barbed wire. When lighter, faster tanks were introduced, the tanks were classified as heavy. The Char 2C was one of the largest tanks ever produced, at the start of World War II, the French and the Soviets were the only countries to have inventories of heavy tanks, such as the Char B1, T-35, and KV-1. The Matilda II infantry tank, though not weighing as much as the others, was designed to the British infantry tank concept and had thicker armour than most tanks in service at the time. The Besa machine gun was a British version of the Czechoslovak ZB-53 air-cooled, belt-fed machine gun, which in the Czechoslovak army was marked as the TK vz.37. Although it required a large opening in the tanks armour. The name came from the Birmingham Small Arms Company, who signed an agreement with Československá zbrojovka to manufacture the gun in the UK, the War Office ordered the weapon in 1938, and production began in 1939, after modifications. Although Britains armed forces used the.303 in rimmed round for rifles and machine guns, although it had been intended for the British to move from rimmed to rimless ammunition generally, with war imminent wholesale change was not possible. 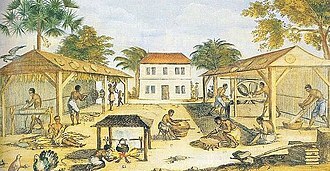 It was considered by BSA and the Ministry of Supply that the industrial, technical, as a consequence, the round was not changed for British production. Since the Besa used the same ammunition as Germany used in its rifles and machine guns, while American-produced armoured cars or tanks would have been fitted with.30 cal Browning machine guns, many British tanks and armoured cars would be equipped with the Besa machine gun. It fed from non-disintegrating disposable 225-round steel metal-link belts, the Mark II version entered service in June 1940. It was modified with a selector to give a rate of fire for close combat or focused targets or a low rate of fire for long-range combat or area targets. As the war progressed the design was modified to be rapidly and economically produced. Three simplified models, the Mark II*, Mark III and Mark III*, the Mark II* was a transitional model designed to use the new simplified parts, but had backwards compatibility with the Mark II. The Mark III and Mark III* versions did away with the selector and had simplified parts like the Mark II*. The Mark III/2 introduced in 1952 was a conversion of the Mark III* with a new bracket, the post-war Mark III/2 and Mark III/3 remained in service until the late 1960s. A larger, heavier – at 57 kg –15 mm version and it could be fired in semi-automatic mode as well as fully automatic. It was introduced in British service in June 1940 and was used on the Light Tank Mk VIC, over 3,200 15mm Besa were manufactured until it was declared obsolete in 1949. It was first used in North Africa in April 1942, and quickly replaced the 2 pounder in the anti-tank role, allowing the 25 pounder to revert to its intended artillery role. The United States Army adopted the 6 pounder as their primary anti-tank gun under the designation 57 mm Gun M1. Limitations of the existing 2-pounders were apparent even as the gun was first entering service, the Woolwich Arsenal was entrusted with the development of a new gun with a calibre of 57 mm calibre. Guns of this calibre had been employed by the Royal Navy from the late 19th century, the design was complete by 1940, but the carriage design was not completed until 1941. The production was delayed by the defeat in the Battle of France. It was estimated that 100 6-pounders would displace the production of 600 2-pounders and this had the effect of delaying production of the 6-pounder until November 1941 and its entry into service until May 1942. Unlike the 2-pounder, the new gun was mounted on a conventional two-wheeled split trail carriage, the first mass production variant—the Mk II—differed from the pre-production Mk I in having a shorter L/43 barrel, because of shortage of suitable lathes. The subsequent Mk IV was fitted with a L/50 barrel, with muzzle brake, optional side shields were issued to give the crew better protection, but were apparently rarely used. The Churchill Marks III and IV, Valentine Mark IX and Crusader Mark III all began to service during 1942. The Valentine and Crusader both needed to lose a member from the turret. Those tanks designed to take the 6-pounder from the outset were the problematic Cavalier, the Cromwell, the 6-pounder was fitted to the AEC Armoured Car Mark II. Although the 6-pounder was kept at least somewhat competitive through the war, the aim was to produce a gun with the same general dimensions and weight as the 6-pounder, but with improved performance. The first attempt was an 8-pounder of 59 calibre length, a second attempt was made with a shorter 48 calibre barrel, but this proved to have only marginally better performance than the 6-pounder. The program was cancelled in January 1943. Instead, the 6-pounder was followed into production and service by the next generation British anti-tank gun, the 17 pounder, which came into use from February 1943. It is used to construct inexpensive fences and is used atop walls surrounding secured property. It is a feature of the fortifications in trench warfare. A person or animal trying to pass through or over barbed wire will suffer discomfort, Barbed wire fencing requires only fence posts and fixing devices such as staples. It is simple to construct and quick to erect, even by an unskilled person, the first patent in the United States for barbed wire was issued in 1867 to Lucien B. Smith of Kent, who is regarded as the inventor. Joseph F. Glidden of DeKalb, received a patent for the invention in 1874 after he made his own modifications to previous versions. Barbed wire was the first wire technology capable of restraining cattle, Wire fences were cheaper and easier to erect than their alternatives. When wire fences became widely available in the United States in the late 19th century and they made intensive animal husbandry practical on a much larger scale. 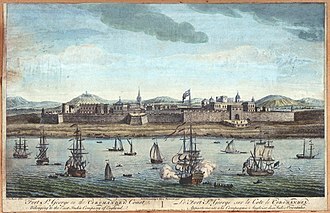 Englishman Richard Newton brought barbed wire to the Argentine pampas in 1845, fencing consisting of flat and thin wire was first proposed in France, by Leonce Eugene Grassin-Baledans in 1860. His design consisted of bristling points, creating a fence that was painful to cross, in April 1865 Louis François Janin proposed a double wire with diamond-shaped metal barbs, he was granted a patent. Michael Kelly from New York had a idea, and proposed that the fencing should be used specifically for deterring animals. More patents followed, and in 1867 alone there were six patents issued for barbed wire, only two of them addressed livestock deterrence, one of which was from American Lucien B. Smith of Ohio. Before 1870, westward movement in the USA was largely across the plains with little or no settlement occurring, after the American Civil War the plains were extensively settled, consolidating Americas dominance over them. Ranchers moved out on the plains, and needed to fence their land in against encroaching farmers, the railroads throughout the growing West needed to keep livestock off their tracks, and farmers needed to keep stray cattle from trampling their crops. A cost-effective alternative was needed to make cattle operations profitable, the Big Four in barbed wire were Joseph Glidden, Jacob Haish, Charles Francis Washburn, and Isaac L.
The cruiser tank was a British tank concept of the interwar period for tanks designed to function as modernised armoured and mechanised cavalry. Cruiser tanks were developed after the Royal Armoured Corps were not satisfied with many of the tank designs of the 1930s. The cruiser tank concept was conceived by Giffard Le Quesne Martel, there were two main types of cruiser tanks, light cruiser tanks and heavy cruiser tanks. Light cruiser tanks were armoured and relatively fast, while heavy cruiser tanks were more heavily armoured. The Crusader was superseded by the A27 Cromwell reaching service in 1944, the A34 Comet - a better-armed development of Cromwell - entered service in lesser numbers in late 1944. The Centurion tank introduced in 1946 became the Universal tank of the United Kingdom, transcending the cruiser and infantry tank roles, financial constraints had made it impossible to produce a vehicle suitable for close support and for exploitation. 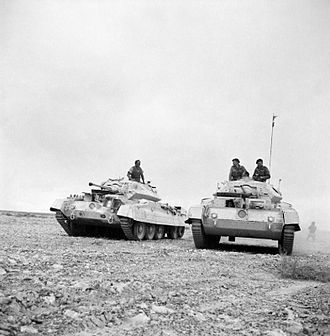 The thinking was behind several tank designs which saw action during the Second World War, British armoured operations theory flowed from the decision to build two types of tank in parallel and use them to equip two types of unit and formation. Infantry tanks went to Army Tank Battalions, sometimes grouped administratively into Army Tank Brigades of the RTR, fast, lightly-armed tanks like the Light Tank Mk VI operated as reconnaissance vehicles. 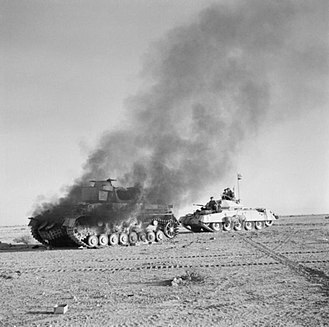 Armoured division theory emphasised using the speed of cruiser tanks for independent action to protect flanks, attacks on an opponents flanks and rear and counter-attack. Giffard Le Quesne Martel originated the concept, while Assistant Director. Martel preferred a large number of smaller and simpler tanks to swamp an opponent, like naval cruisers, cruiser tanks were fast and mobile for operations independent from slower-moving infantry with their heavier infantry tanks and artillery. F. C. Fuller, Percy Hobart and B. H. Liddell-Hart, the cruiser tank was designed for use in a way similar to cavalry, which made speed the most important factor and to achieve this, early cruisers were lightly armoured and armed to save weight. The emphasis on speed unbalanced the British designs, on limited engine power, the idea that speed is armour was considered most important in the Royal Tank Corps. 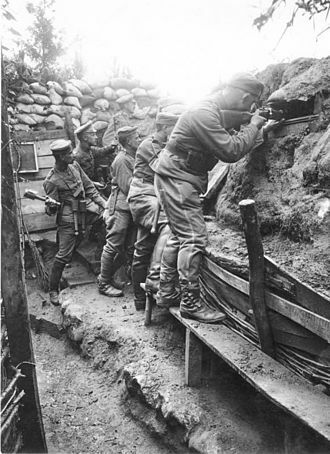 Crew inside a Valentine tank loading the gun. 2 pounder in action with British troops. Legs are unfolded. Australian 2 pounder crew firing on Japanese tanks at point-blank range in the Battle of Muar. 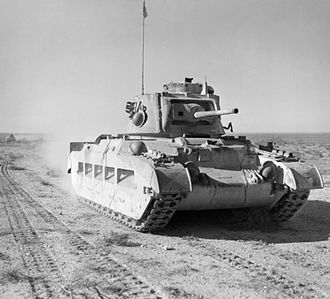 A Matilda advancing through Egypt as part of Operation Compass. A captured Matilda put into use by the German forces, is recaptured and its crew taken prisoner by New Zealand troops, 3 December 1941 during the battle to open the corridor to Tobruk, Operation Crusader.